Visitor information on Havasu Springs boat rentals on Lake Havasu which allows you to tow your own boat or boat rental to the marina for launching. At Havasu Springs Resort and Marina you will discover the fair playground in the sunny Southwest Desert. We give this resort a three star rating, based on five stars and this vacation destination has most amenities to accommodate your needs while enjoying the lake. Lake Havasu is great for houseboat vacations if your staying for several days, it's a unique experience living on the lake. 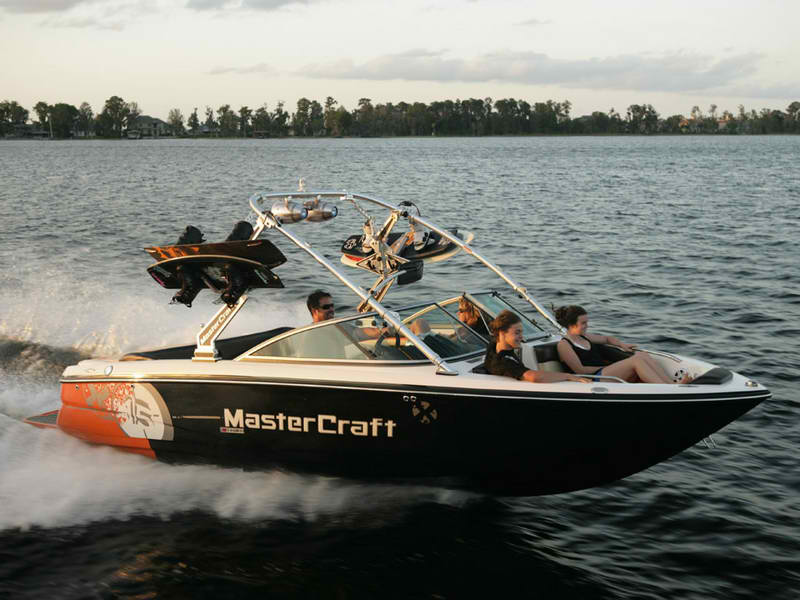 Enjoy the fun of our premier water sport boat tours which include instruction on; wakeboarding, water skiing, wakesurfing, kneeboarding, wake skating, SUP's, air chair and tubing. We offer free delivery services of all our premier watercraft rentals to this area. The lake and marina lies on the boarders of Arizona and California.